We have previously interviewed Bill Eddy for our Mr. Custody Coach Radio Show where we discussed choosing the right attorney for your divorce and/or child custody case. Today, we discuss Bill Eddy’s very insightful article titled How Personality Disorders Drive Family Court Litigation. The article is one of countless articles, books, talks, and interviews that Bill Eddy has done on this topic and related ones. How Personality Disorders Drive Family Court Litigation offers a bit about his background and how he came to be so deeply involved in critical aspects of the adversarial divorce process and understanding it’s evolution. Bill Eddy is an attorney, mediator, and a clinical social worker. His knowledge, skills, and experiences across these areas of expertise have given him a depth of understanding into just how personality disordered individuals can thrive in the divorce and chlid custody court system that is virtually unmatched. Since more flexible and cost-conscious people nowadays are resolving their divorces in mediation, attorney-assisted negotiation, or just by themselves, those cases remaining in litigation may be increasingly driven by personality disorders. Many people dealing with those suffering from personality disorders have been to the family court house over and over and over again for divorce, child custody, or both. If you’ve been there often enough, you’ve probably seen the signs of a Cluster B Personality Disorders right before your very own eyes at work in the court room. I’ve certainly seen the interactions of other broken families – fathers, mothers, children – involved in divorce & custody disputes. If you have, too, you’ll find that Bill Eddy’s assessment in this regard is pinpoint accurate. A personality disorder does not usually go away except in a corrective on-going relationship – such as several years in a counseling relationship. Until then, the person may constantly seek a corrective experience through a series of unsatisfying relationships, through their children, or through the court process. In a sense, untreated personality disorders don’t fade away – they just change venue. Oftentimes, getting the divorce doesn’t matter and the chaos won’t stop. When dealing with a personality disorder surrounded by negative advocates, as Bill Eddy describes in the excerpt above – it just changes venue. A new venue, a new divorce or child custody judge, a new therapist, a new lawyer – these are simply new opportunities for the high conflict, disordered ex-wife or ex-husband to perform for a new audience. Probably the most prevalent personality disorder in family court is Borderline Personality Disorder (BPD) – more commonly seen in women. BPD may be characterized by wide mood swings, intense anger even at benign events, idealization (such as of their spouse – or attorney) followed by devaluation (such as of their spouse – or attorney). You may see these signs in your own hearings or therapy sessions. If you’re in family court frequently enough and able to witness other proceedings – you’ll probably see them there, too. If you listen closely enough, sometimes you’ll even hear several of these different, and often conflicting, characteristics within the same child custody or divorce proceeding. Their world view is generally adversarial, so they often see all people as either allies or enemies in it. Their thinking is often dominated by cognitive distortions, such as: all-or-nothing thinking, emotional reasoning, personalization of benign events, minimization of the positive and maximization of the negative. People with personality disorders also appear more likely to make false statements. Because of the thought process of a personality disorder, the person experiences interpersonal rejection or confrontation much more deeply than most people. Lying may be justified in their eyes – possibly to bring a reconciliation. (This can be quite convoluted, like the former wife who alleged child sexual abuse so that her ex-husband’s new wife would divorce him and he would return to her – or so she seemed to believe.) Or lying may be justified as a punishment in their eyes. Just as we have seen that an angry spouse may kill the other spouse, it is not surprising that many angry spouses lie under oath. There is rarely any consequence for this, as family court judges often believe the truth cannot be known – or that both are lying. Just as an active alcoholic or addict blames others for their substance abuse, those with personality disorders are often preoccupied with other people’s behavior while avoiding any examination of their own behavior. Just as a movie projector throws a large image on a screen from a hidden booth, those with personality disorders project their internal conflicts onto their daily interactions – usually without knowing it. All the world is a stage – including court. It is not uncommon in family court declarations for one with a personality disorder to claim the other party has characteristics which are really their own (“he’s manipulative and falsely charming” or “she’s hiding information and delaying the process”), and do not fit the other party. Spousal abusers claim the other is being abusive. Liars claim the other is lying. Many people with whom we interact will tell us that you can almost always tell what their high conflict ex-partner is doing based upon the allegations s/he is levying their way. If the ex is accusing you of something falsely – you can “bet” that they’re doing what it is they’re accusing you of doing – or doing something close to it. Many times, sadly, they are correct. Family Court is perfectly suited to the fantasies of someone with a personality disorder: There is an all-powerful person (the judge) who will punish or control the other spouse. The focus of the court process is perceived as fixing blame – and many with personality disorders are experts at blame. There is a professional ally who will champion their cause (their attorney – or if no attorney, the judge). Generally, those with personality disorders are highly skilled at – and invested in – the adversarial process. Those with personality disorders often have an intensity that convinces inexperienced professionals – counselors and attorneys – that what they say is true. Their charm, desperation, and drive can reach a high level in this very emotional, bonding process with the professional. Yet this intensity is a characteristic of a personality disorder, and is completely independent from the accuracy of their claims. This also has been the experience of many, sadly. Preconceived notions about who is a better parent (moms are better than dads, for example), the inherent biases that exist to varying degrees within all of us, and so much more weigh too heavily on the decisions of those charged with making them (or making recommendations for same) that have such a significant impact on our lives. 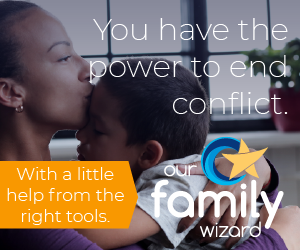 When these issues are at play within the decision-makers minds, it can result in disappointing rulings and worse – catastrophic consequences – particularly when it comes to child custody. Judges, attorneys, and family court counselors need to be trained in identifying personality disorders and how to treat them. Mostly, a corrective on-going relationship is needed – preferably with a counselor. However, they usually must be ordered into this because their belief systems include a life-time of denial and avoidance of self-reflection. This takes a lot of money, a lot of time, and a lot of push from the general public. These are things which are very unlikely to occur with those entities who have gotten far too comfortable with their place and purpose in the divorce industry. That would appear to many to be cultivating the adversarial process and take the maximum amount of money from all parties. When no cash remains, they callously discard them and move onto the next family. Therapists, in addition to being supportive, need to help clients challenge their own thinking: about their own role in the dispute; about the accuracy of their view of the other party; and about their high expectations of the court. Likewise, attorneys need to also challenge their clients’ thinking and not accept their declarations at face value. More time should be spent educating them to focus on negotiating solutions, rather than escalating blame. Expectations are nice, but when such expectations are counter to the income stream for the people whose livelihoods depends upon their clients need of their services and paying for them – one has to wonder if it’s ever going to be possible to elicit change. Challenging them means great risk of losing their paying client to another, less inclined competitor, who will do exactly what a personality disordered individual wants them to do. At least, they’ll do this until the funds run out or they can no longer deal with the bizarre behavior. I’m sure you are one of those people who are dealing with such an ex – or you know someone who has had this exact experience. As it applies to California, the court should make greater use of sanctions under Family Code Section 271 for parties and attorneys who refuse to negotiate and unnecessarily escalate the conflict and costs of litigation. Again, with the lofty expectations. The court must realize that the parties are often not equally at fault. One or both parties may have a personality disorder, but that does not necessarily mean both are offenders (violent, manipulative, or lying). A non-offending, dependent spouse may truly need the court’s assistance in dealing with the offender. The court should not be neutralized by mutual allegations without looking deeper. Otherwise, because of their personality style, the most offending party is often able to continue their offender behavior – either by matching the other’s true allegations for a neutral outcome, or by being the most skilled at briefly looking good and thereby receiving the court’s endorsement. The first sentence is highlighted. It’s because if there is a single, most frustrating thing for many people going through the divorce industry with a spouse suffering from a personality disorder – it has to be this “default mindset” that blame is shared equally. We believe that this is a firmly entrenched societal issue. Perhaps more disingenuous than the claim, “nothing is ever my fault” is the contention, “everything is our fault equally.” Too many people have experienced this “both parents are to blame equally” mindset from judges, evaluators, and others within the family court system. Should one parent dare deviate from this mantra – they are the liars and the resulting rulings & recommendations will reflect their disbelief of what you’ve attempted to convey. How Personality Disorders Drive Family Court Litigation,By William A. Eddy, LCSW, Esq. My mother passed away and as far as I am concerned it was a sudden and unexpected death! My siblings (2) rushed in to “take care of Mommy” when they “thought” her time was short here on this earth and and “Mother wouldn’t linger long enough to exhaust HER money.” It “wasteful” to have “medical cosultations”; so THEY diagnosed her condition themselves. Now my attorney is engaged in legal proceedings on my behalf. This gave me cause to “research borderline personality disorders.” It is astounding the information Mr. Eddy provides in his article: “How Personality Disorders Drive Family Court Litigation”. I am shaking my head as I read it over and over. BUT it is the behavior befitting what I see before my very eyes. Every word stated in his article fits my situation. Actions during a divorce, where she stated “mediation was not working.” It is not hard to imagine the performance she gave for the judge and the attorneys. I have since been subject to her performances with her personal audience. Yes. Audience performances are a big part of the disorder and the fact, that someone is “challenging” their actions makes for a bigger Target! Their “need” to “alienate others from family and friends” is true for the most part. BUT, fortunately for me, my reputation, my character and my years of relationship building preceeds me. Therefore, there won’t be that clapping of hands from the audience. The problem is before us. It only shameful that the people close to her now are so engaged by her that they fail to recognize the disease that has taken over her body. They “feed” her disease. I am positive there have been and will still be others after me, including the “feeders” of her disease. The admonishment and dismissal of aggressive courtroom behavior by these individuals must be outlawed! Thank you. Wow, you have described my ex to perfection. He played the courts until I gave in because I didn’t want my children to be party to the fighting, essentially bullying me into giving in. He is currently going after me for child support every chance he gets, because he wants to see me in jail and has made it perfectly clear. He has taken me back to court time and time again until the judge told us she didn’t ever want to see us again, and I’m afraid to file even motions that are justified. I questioned myself time and time again about whether it was my fault that he was acting this way, and what I did to contribute to it, and I cannot find anything that I did that justifies the elevated response. I can find things I did wrong, no doubt, but not that I did wrong enough for him to be dragging me back to court constantly and keeping me away from the children. I tried to be fair to him and I found out the hard way that when you’re dealing with someone who has a personality disorder, although I’m not sure whether he would be considered Borderline, sociopath or narcissistic, you cannot play fair.